A couple years ago, I posted a note about how web browsers were starting to impose restrictions affecting the deployment of Java applets. These changes have made it a bit more involved to run the free version of BikeCAD. That Forum thread has grown pretty long and much of the information there is now obsolete, so I thought I would start a new thread to explain the current state of things. First of all, I am continuing to port my code to a new platform that will not require a plugin. I am very much looking forward to getting that done as it will eliminate all the hassles involved in launching the Java applet and will allow BikeCAD to run on smart phones and tablets. In the meantime, there are two options for accessing BikeCAD. The first option is to purchase BikeCAD Pro which is a standalone Java application that does not require a browser plugin. BikeCAD Pro runs on Mac OS X, all Windows desktops and laptops as well as Linux. 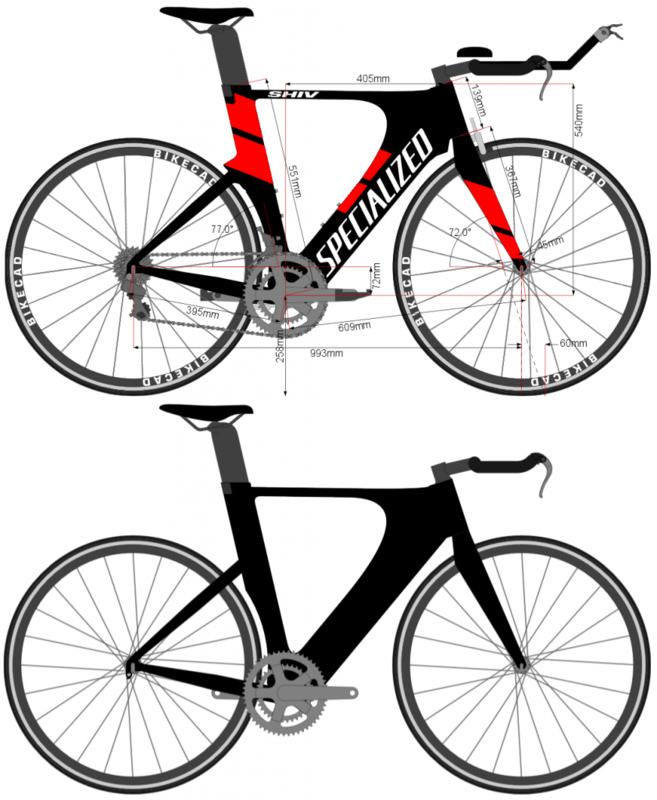 Owners of BikeCAD Pro receive all future updates at no extra charge so the cost of the program is truly a one time fee. The second option is to run the free version of BikeCAD in a web browser that supports the Java plugin. Currently Chrome and Microsoft Edge do not support the Java plugin. Therefore, you will have to use either Microsoft Internet Explorer, Firefox or Safari. 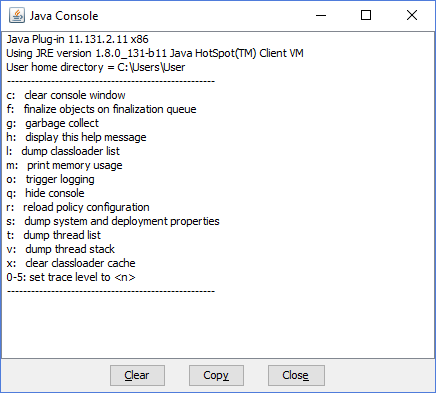 An example of the Java control panel in Windows 10 is shown below. Note that you will need to use the "High" security level as the "Very high" level will not allow the applet to run. (These instructions only apply to the free version of BikeCAD). Be aware that the free version may take a while to appear on the screen. If all you see is a blank white screen, be patient, the applet is probably just loading. In some extreme cases, I've heard of it taking up to 10 minutes to appear, though a few seconds is more typical. Hi Brent, and firts of all thanks a lot for your software! 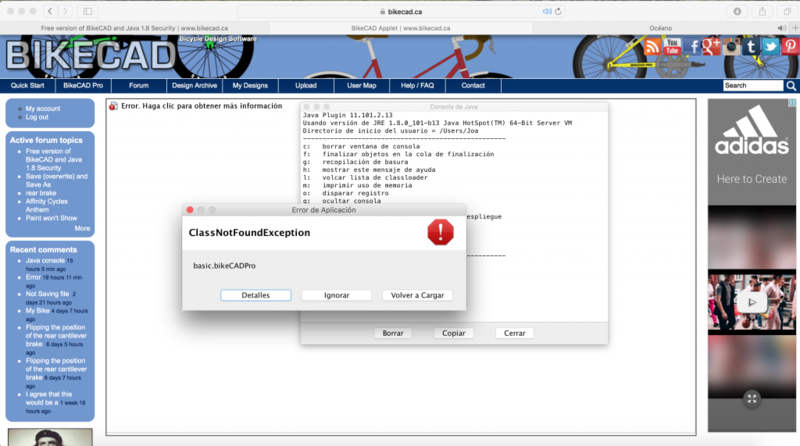 I´m haveing an issue while trying to use bikecad free version, the java alows it to work but then it shows an error ClassNotFoundException basic.bikeCADPro, I have done everything, about the security, expection list and also deleting temporary fies at java, but is not working. I´m working on a mac if needed to know. Please would you have any answer for this? I'm sorry to hear about this problem. I'd be curious to know what additional information might be presented when you try loading the applet with the Java console turned on. There's info about showing the Java console at: java.com/en/download/help/javaconsole.xml. 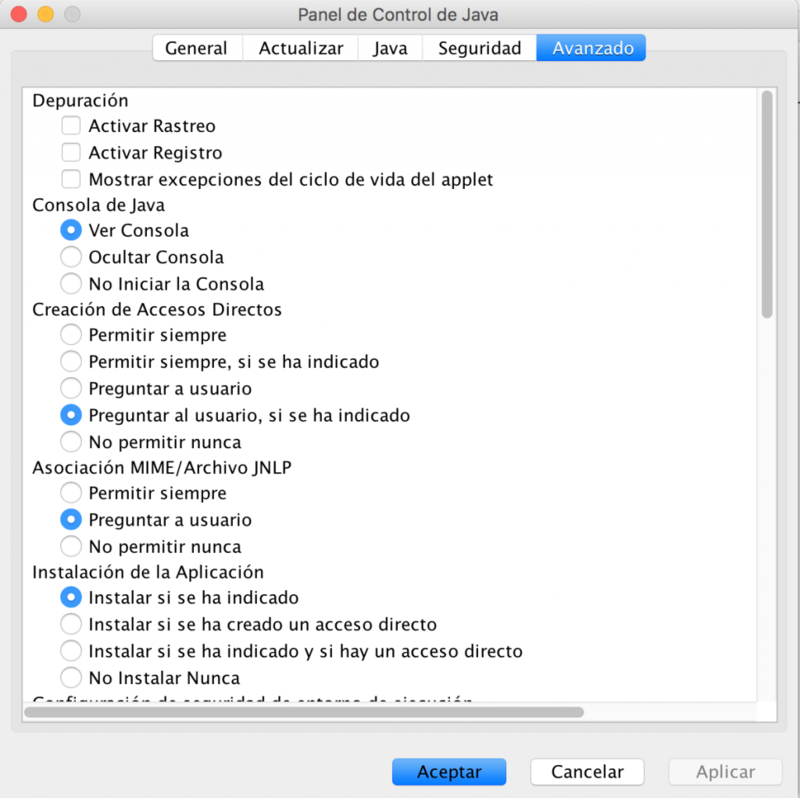 Sure, I´ve attached here the pictures about configuration and java console. Thanks for the thorough set of screen captures. 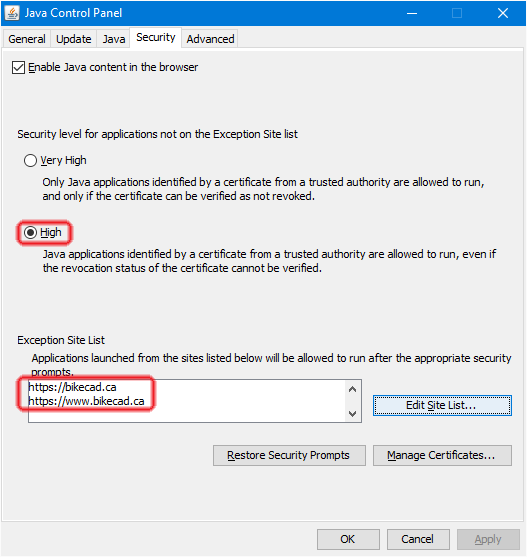 As of June 28, 2016 it is no longer necessary to list http://bikecad.ca in your Java Exception Site list. It is only necessary to list https://bikecad.ca. You also don't need to include /quickapplet in the exception site list. Only the domain name is required. Any folders and files within that domain are automatically covered. However, it does seem helpful to include both https://bikecad.ca and https://www.bikecad.ca. Still, it shouldn't hurt that you've included these extra URLs, so this doesn't explain why the applet is not working for you. Although it used to be that the Java console would list all sorts of info as the applet was loading. Now it will not do that unless you increase the trace level. You can do that by clicking in the Java console and typing the number 5. Note that you can type any number between 0 and 5 to select the desired trace level. 5 will give you the most info. Below is an example of the Java console as I loaded the free version of BikeCAD in Firefox with a trace level of 5. I'm not sure what browser you are using, but it might be worth trying a different browser. Firefox, Internet Explorer and Safari all work for me. Hi brent, here is a screen shot of my java console typeing 5 once and then re loadeing it but nothing happend, I´m useing Safari, but then I tryed at firefox and the same hapend and then at chrom nothing happend, it has been already 2 hours but the free version doesn´t start. I don´t want to make you waste time, I´m sorry but I think I wount be able to use it.. I'm sorry I'm not able to offer any more insights about what might be going on there. Although I should reiterate that the Chrome browser no longer supports the Java plugin, so you will definitely not have any luck using Chrome. Because there are a lot of people that continue to make regular use of the free version, I'm not inclined to take it offline. However, I regret any frustration it may cause for those that struggle unsuccessfully to get it up and running. I hope you will understand that these issues are limited to the free version and that BikeCAD Pro runs easily and reliably on any Windows, Mac or Linux laptop or desktop computer. Thanks a lot for your help Brent, don´t worry I will figure something ut to make it work. Is an excelent software, congratulations! My suggestion: Download the latest version of Java (July 19, 2016) and use Mozilla Firefox. Be sure all Windows or Mac updates are done! Hope this will work out. I will try doing that, thanks! I use 64bit Windows7 with 32bit Java v.1.8.0_111 and a 32bit browser with the same problem with ClassNotFoudException. My colleague find the solution, check the picture! I hope it will help you too. I tried everything trying to get the free version working, unistalling and reinstalling java and browsers, messing with settings on everything, and could not get this running no matter what I did. It's good that you have Java installed, but you also need to enable the Java plugin. What do you see when you go to about:addons and choose plugins in Firefox? Unless you're able to be more specific about the steps you've taken, I can only assume the many suggestions listed above will resolve this issue. I just made mine working that way. I'm sorry to hear about your troubles. I'd be curious to know what additional information might be presented when you try loading the applet with the Java console turned on. There's info about showing the Java console at: java.com/en/download/help/javaconsole.xml. For notes about setting the trace level, see above. 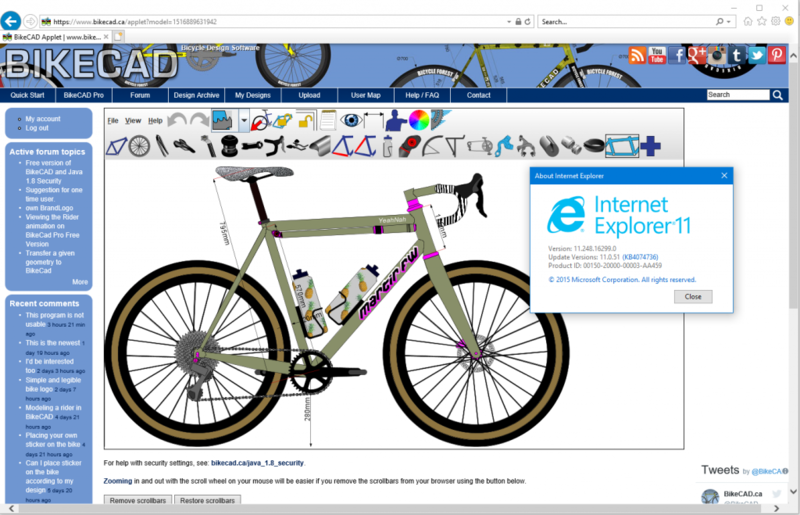 For anyone wondering how Johan got along with the free version of BikeCAD, he got it running on Firefox. I'm not certain, but the confusion may have been with Microsoft's new Edge browser. The Edge browser does not support the Java plugin. The Internet Explorer browser does still support the Java plugin, but it is not the default browser on Windows 10. You can still run the free version of BikeCAD in the 32bit ESR release of Firefox. You can also run it in Internet Explorer (remember Internet Explorer is not the same is Microsoft's new Edge browser). It will also run in Safari. In the meantime, I am continuing to develop an alternative to the free version which will not require any sort of plugin. I regret that this project is taking so long, but it is just a huge job. 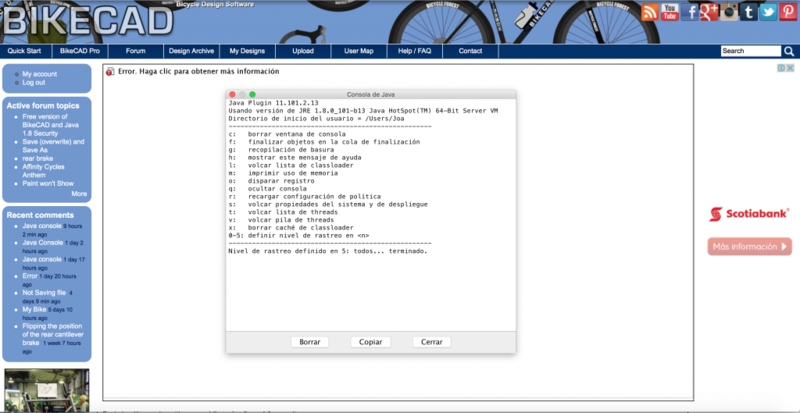 Of course, BikeCAD Pro will run on any modern PC or Mac and does not require Java. For older machines, there is also a version of BikeCAD Pro which requires the Java runtime environment (JRE). This version runs on Mac, PC or Linux. The JRE is still a popular tool. 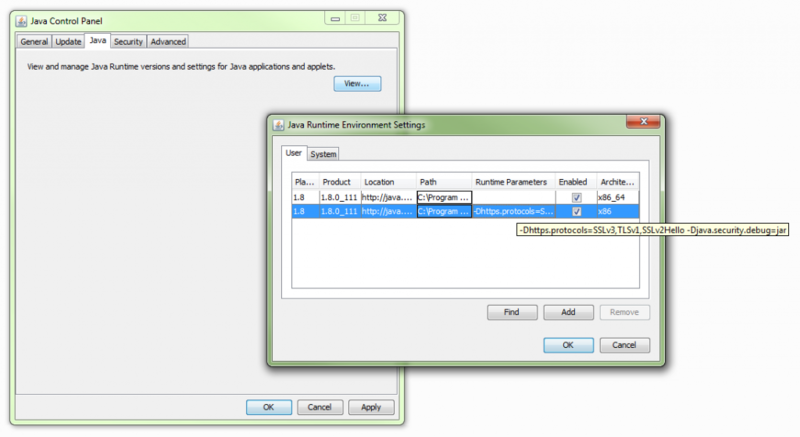 Recent concerns with Java are mostly to do with the browser plugin, not the JRE itself. I hope I can continue to develop BikeCAD and BikeCAD Pro for years to come, because I really do love it. However, sales of BikeCAD Pro are the only way I gain any monetary compensation for my efforts. Therefore, I am grateful to all those who choose to take the plunge and purchase BikeCAD Pro. For the record, I also gain some revenue from Adsense ads, but this revenue is less than the hosting fees I pay to keep this site online. Your post was titled Firefox update and you ask about a workaround. 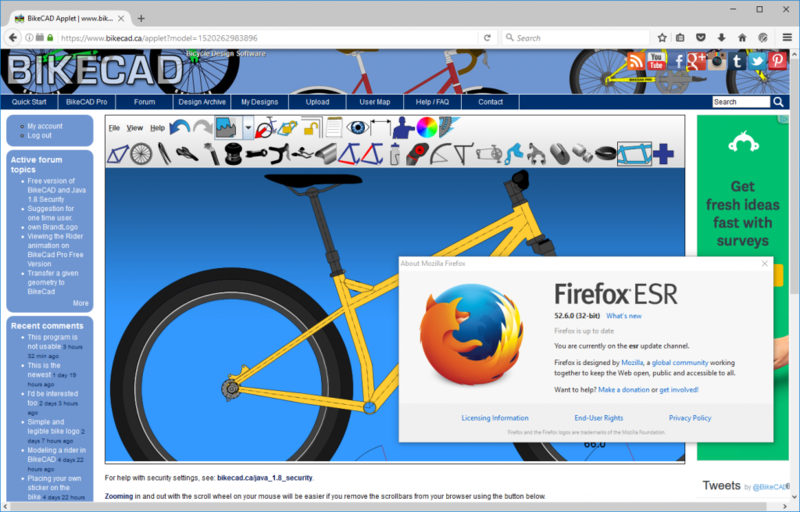 As stated before, the 32 bit ESR version of Firefox still runs the free version of BikeCAD. I'm not sure what other workaround you might be waiting for. I am continuing to develop an alternative to the free version that does not require any plugin whatsoever. However, this is proving to be a huge job. For a sense of where I'm at with that, below is a model displayed in the current version of BikeCAD. Below that, is the same model rendered in a browser with no plugin. As you can see, I still have some elements to add to the new model. Meanwhile, I am also continuing to develop new features in BikeCAD Pro. BikeCAD Pro is easy to install and run on any Mac, PC or Linux computer. The $500 Canadian cost is a one time fee. As new versions of BikeCAD are released, all owners of the program receive the new version at no extra cost. This is an investment that a high end shop such as yours could benefit greatly from. Let me know if you have any questions. I came to this to try and get it to work and i think i tried everything but couldnt get it to work. I have some screenshots if anyone could help me out. I'd be curious to see a screen capture of your Java Exception Site List. Could you send me a screen capture of the Security tab in your Java Control Panel? Also, let me know what browser and OS you are using. 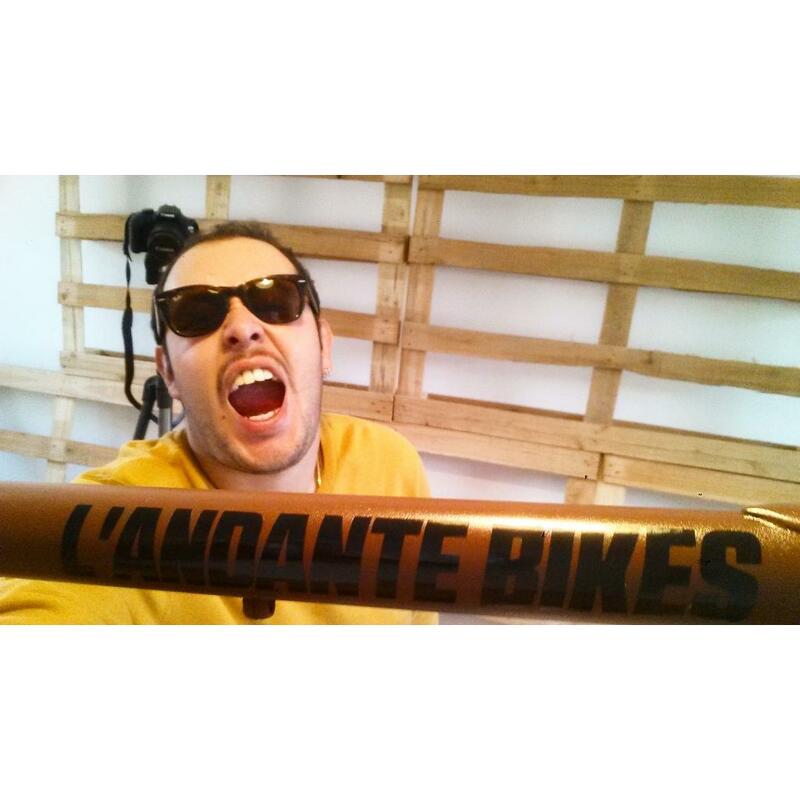 Thanks 4 the oportunity, L'andante Bikes makes the bike of your dreams. Thanks 4 the oportunity, we makes the bike of your dreams!! I just spent the last hour trying to get this to work. Doesn't do Chrome. Doesn't do current Firefox. Doesn't do current IE. IE10 gives at least three warnings. Held my nose and disabled every security feature I could find there and in Java controls. Still failed, doesn't even begin to load. Downloaded Firefox 52 ESR. No Java plugin in addons, despite that it's on my system. Java says it might be 64-bit only. Attempted to install Java plugin, even though it didn't actually let me choose a version. Download failed. It seems like every time I have the urge to try this again, there are more hoops to jump through, each more trying than the last. And my field is software; I can't imagine many people are successfully traversing this minefield of bad practices on a modern machine. All I want to do is mock up frame geometries from publicly accessible numbers so I can compare how part changes affect the general shape. This is worth more than $0 to me, but it sure isn't worth $350, nor the incredible hassle of this "free" version. It's tremendous when it works and it's a great service that you offer any part of it free. Really, it's thrilling to have tools like this available. But as it exists right now, it's a tease. Surely there's a way to cut down the Pro version that doesn't require rebuilding everything from scratch? I'm sorry to hear you spent all that time with nothing to show for it. Others have posted similar sentiments on this forum and I do routinely receive angry e-mails from people frustrated with the difficulties they've had trying to run the free version. At this point, it definitely seems like I'm leaving the free version available to my own detriment. However, with so many people still happily using it, I'm also reluctant just to pull it down. In the meantime, I continue to work on the slow conversion to a plugin free alternative. As you point out, another option would be to create a stripped down version of BikeCAD Pro that you can easily install just like BikeCAD Pro. Perhaps it's time for me to look more seriously at that idea. Until then, I do have the option to provide coupon codes for people in special circumstances. If that sounds like you, please drop me a line. Just to clarify for anyone reading Alex's post, although the free version did not work for him in the current version of IE or in the ESR version of Firefox, it can definitely be made to work as per my instructions above. Below are screen captures of BikeCAD models I've pulled up in these browsers just moments ago. I would also suggest a stripped down version of the Pro version would be preferential. I do understand the need to maintain the difference between the versions. Finding a balance between hobbyists and people using the software for commercial reasons can be tough. Has something bad happened to BikeCAD free in last two days or so? The applet worked for me on IE 11 and I was able to start my crank forward bike frame design. Yesterday and today I wanted to fnish it but I can't. IE11 says that there is a problem with the page and won't allow it, Firefox ESR (portable) just doesn't show the applet and Pale Moon browser shuts down immediately. EDIT: Apparently it was me. After uninstalling IE11, installing IE10 and reinstalling Java, it all works just fine (note to self: never bother anyone before repeating above steps). Thanks for your feedback on the Pale Moon browser. I'm glad you got things working again on IE10. I'm not sure what unique circumstances are affecting your use of the program, but I just opened your model labeled Crank Forward 1 in IE11. Hopefully, others will also be able to continue using IE11 and the 32 Bit version of Firefox ESR. I've tried this solution, but still I cannot use BikeCAD in my Mac. I'd like to buy the Pro version, as I've been using the lite in a Windows machine, but for the pro, I need it to be running in a Mac. Can you help me out with this? BikeCAD Pro will easily install on your Mac without any need for Java. Without any further details from you, I can't offer any other suggestions on running the free version except to try displaying the Java console and getting some more info from that. Once the Java console is displayed, you'll want to increase the trace level. You can do that by clicking in the Java console and typing the number 5. Note that you can type any number between 0 and 5 to select the desired trace level. 5 will give you the most info. Thanks for the information, I got it now using Safari (I was trying with Firefox, which still doesn't work). Thanks in advance for your answer! I'm glad to hear you got the free version running on Safari. For the record, it will not run on the default version of Firefox, but you can get it to run on the 32 bit ESR version of Firefox. When you purchase BikeCAD Pro, you will instantly gain access to download links for the program in Mac, PC and Linux forms. You can install BikeCAD on up to three of your own machines at any given time. Therefore, if one of your machines needs to be retired, you can just log back into your account on your replacement computer and download the latest version onto the new computer. You can have all three computers running BikeCAD at the same time if you like. As new versions of the software are developed, all owners get the new version at no extra cost. So the price of BikeCAD Pro is truly a one time fee. That's perfect! Thank you very much for all the support, really helpful! Thanks for the kind words about BikeCAD. Since you've found the software to be amazing, I wonder if you've managed to get it working, or if you're just speaking from past experience. If you are still struggling, perhaps you'll find some help here. As everyone else here in this thread, my Bikecad only shows a blank page. I am not a computer wizzard, so for me it's hard to understand why Bikecad isn't working properly on Chrome. Did you already found a general solution that will be working for everyone? Another option is to use the CheerpJ Applet Runner extension for Chrome. CheerpJ is exciting because they are also working on a means by which I could offer my free applet to you without the need for a plugin and without the need for their own Chrome extension. I'm still working on this. I don't want to admit how long I've spent trying to get this applet to work, with no success. I tried Firefox ESR, Internet Explorer, IE Tab extensoin in Chrome, turned the Java settings upside-down, reinstalled and restarted many things. I'm convinced nothing works on Windows 10. Is there a free trial of the Pro version? I can't justify spending hundreds of dollars. I'm just trying to communicate a gist of a design to an engineer. I'm willing to spend a smaller amount on a lite version. Brent and anyone who has succeeded with free version, before we get discussing something that has been talked about A LOT, I want to say Thank you for reading and commenting. I have been reading and trying steps to get this program (Bikecad free) to work on my computer. First of all thanks Brent for your hard work and acknowledgement to a great service for others to use at free of cost. Unless you step up to the design and purchase the Pro which seems to be a great choice. I have a cad program but I was very interested in a bicycle cad specific program which is why I was attracted to give the free version a trial first. My quests to gain access to the free version has led me through IE 11 uninstall (which my computer will not allow IE 10 to be installed) and revert back to the older version IE 8 which was already on my computer (a bit older machine with older operating system). IE 8 with java install did not work. I also tried Chrome with the CheerpJ extension and did not gain access. I did however try IE add-on for Chrome allows Chrome to use IE via an inside look at pages through IE access. Which did not work. 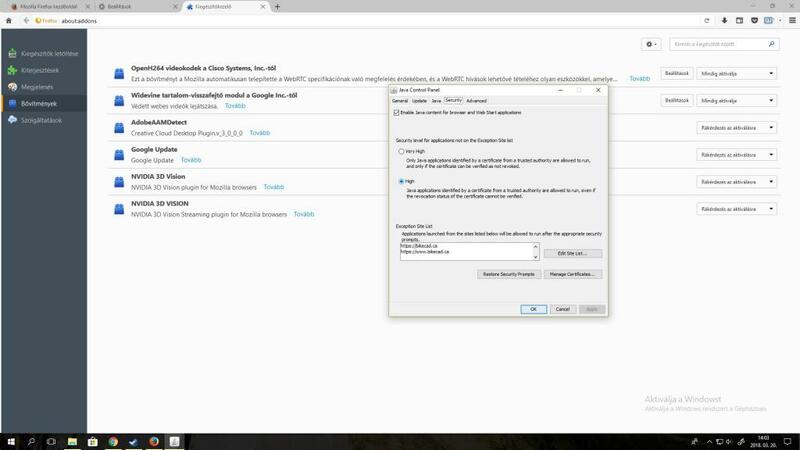 I have not tried ESR 32 Firefox, and I do not plan to as the other two options should have prevailed and I do not want to overload my computer with a bunch of extra running programs. Can someone enlighten me to a similar process that may achieve success to try the "free" version before I go ahead and pay for pro. Thank you all for you written examples of options that worked for you, now I would like to try. My computer: Windows 7, Chrome, IE, Firefox installed, jave is installed as well. ***Edited 11:58am : Installed 32 bit ESR Firefox - when selecting free version without Java plugin checkbox selected the CheerpJ runtime keeps loading. - when selecting free version with Java plugin checkbox selected it shows a blank white screen with 'Error: click for details' at the top left, once clicked it shows a dialog box stating "ClassNotFoundException"
Because running the free version of BikeCAD without Java is so simple, this is the method I would recommend to anyone who hasn't already setup their system to run it as a Java applet. The best browsers for this are Chrome, Firefox and Safari. For those that are determined to run the free version as a Java applet, the instructions are listed above. 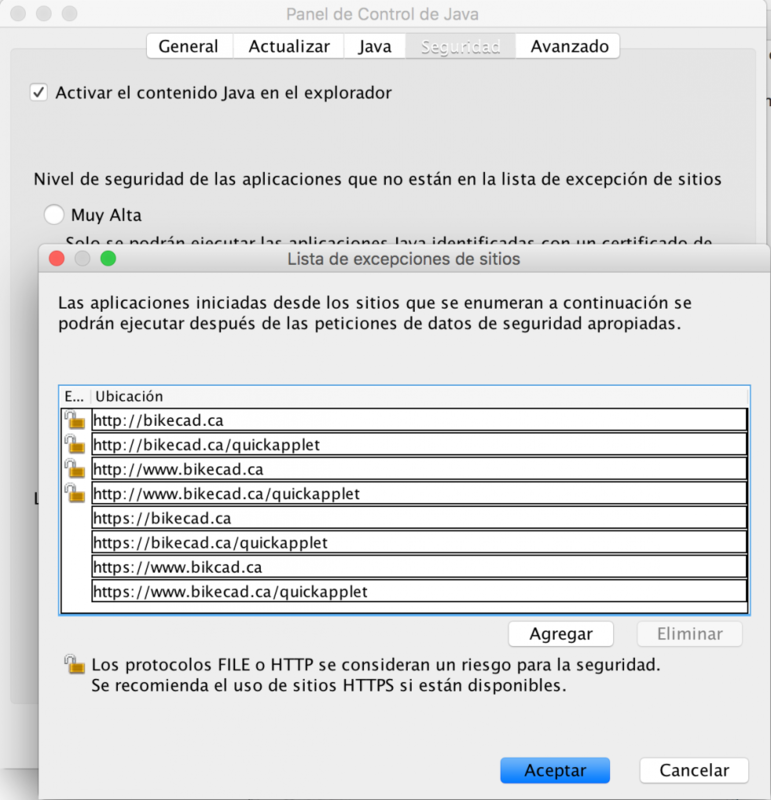 It is essential that you add https://www.bikecad.ca to your Java exception site list. Also, I do not suggest uninstalling IE 11. 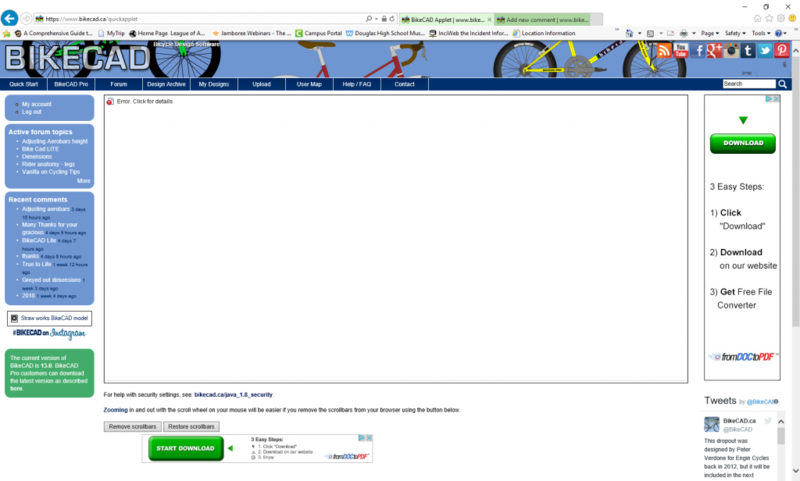 The BikeCAD Java applet runs perfectly well in IE 11. Thanks Brent for your input. I restarted my computer and at some point Chrome allowed BikeCAD free to work. Tried it and kind of made my way through a design. Now it will not work, so as per your recommendations - I uninstalled 32bit ESR, java, IE tab extension, and cheerpj applet extension and re installed IE 11. As not one of those setups were allowing access and Chrome was the only one that could open the program. As stated earlier in the post, now Chrome will not work either. Question: - ?Will Chrome open the program without Java, cheerpj applet, IE tab extension?